UPSC NDA & NA Exam II 2017 final result has been declared. A total of 447 candidates have qualified the examination. 12 May 2018: The Union Public Service Commission (UPSC) has announced the final result of National Defence Academy (NDA) and Naval Academy (NA) Examination II 2017 on 9 May 2018. A total of 447 candidates have qualified the examination on the basis of their performance in the written examination conducted on 10th September 2017 and subsequent interviews. The results of the medical test have not been considered while preparing the merit list. How to check the UPSC NDA/NA Exam II Result 2017? 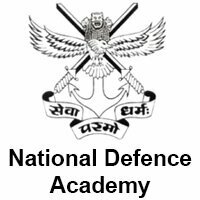 Click on ‘Final Result: National Defence Academy & Naval Academy Examination (II), 2017’ under ‘What’s New’ section. On the page that opens in the new tab, click on the PDF file link. Check the result and take a print out if you want. The courses will be commencing from July 2018. The detailed information regarding the courses will be available at www.joinindianarmy.nic.in, www.careerairforce.nic.in, and www.nausena-bharti.nic.in. Utpal Anand has topped the examination, Kunal Malhan secured the second position, and the third position has been bagged by Shubham Kumar Jha. The candidate is provisional subject to the submission of DOB and Educational Certificates. For additional information, candidates can contact/visit personally the Facilitation Counter near Gate ‘C; of the Commission between 10:00 AM to 05:00 PM on working days. Telephone Numbers: 011-23385271/ 011- 23381125/011-23098543.